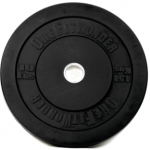 OneFitWonder Black bumper plates are manufactured to go toe to toe with any bumper plate on the market. They are constructed with a recycled rubber mix formulated specifically for its durability, density and low bounce. Most importantly, they go through the most customer-focused manufacturing, quality control and shipping process in the industry so you can rest assured that you are getting the highest quality plates with and we are taking the utmost care to ensure they arrive to you in pristine condition! These are the way to go. Just got my package of 160 pounds. The OFW bumpers are quality as expected. I will definitely buy more for my collection of weights. Would recommend them to anyone starting a garage gym/commercial gym. Fit and finish of the bumpers is terrific. I can’t speak to longevity yet, but if Fringesport put the same effort into choosing the One Fit Wonders bumpers as they put into their outstanding customer service, I’m sure we’ll be dropping these for years to come! Awesome customer service, fast shipping, and best price out there in the market! The OFW plates are highly durable and comes with a hint of rubber scent but then again, they’re bumper plates for a reason so it didn’t really phase me. Thank you Fringesport! Question: What about OFW rings vs rogue rings? You can compare prices on Rogue gear and you will see it is overpriced across the board. 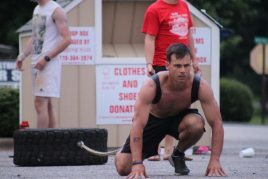 Rogue rings are $59 for the black plastic gym rings and that is with no straps. The exact same rings at Fringesport are $45 with straps. If you add straps to the Rogue rings you are at $75 plus. 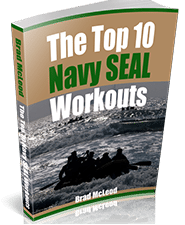 You are paying more to have the Rogue name stamped on it which does not matter once you are working out.